Friends, in this post I will share National University Honours 4th year syllabus for all subject. Hope this post will be useful to all the students who are studying in the Honours 4th year of the National University. No more talk. Let’s see and collect the syllabus of your desired subject. National University Honours 4th Year Syllabus of all subject given below one after one. 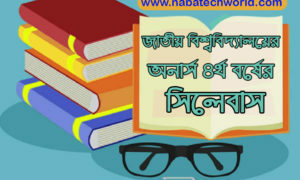 Click on the provided download link besides the subject name to download the Honours 4th Year Syllabus of your desired subject in pdf Version. If you can not find your subject, then please let us know in the comments. From the table below, you will be able to download the Honours 4th year syllabus of your desired subject in National University. 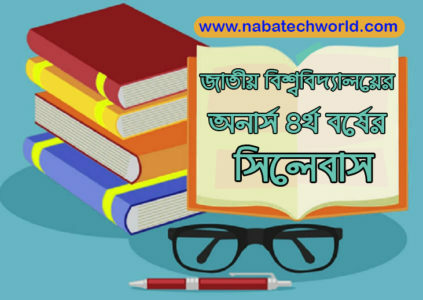 2 Responses to "National University Honours 4th Year Syllabus All Subject – Download PDF"